This post is sponsored by Spindrift and Her Campus Media. All opinions are my own. Thank you for supporting the brands that make A Walk in the Park possible! Sparkling water seems to be the trendiest thing to drink lately, and with good reason! It's carbonated and without large amounts of calories, if any at all. You can get all different "flavors", but for some people like me, that just isn't enough. I'll admit, I HATE sparkling water. It has no flavor to me, flavored or not. It's a weird craze to me and I just can't understand it. Maybe I don't have mature enough tastebuds, but I'd usually just rather drink regular water all the time than "treat" myself to sparkling water. 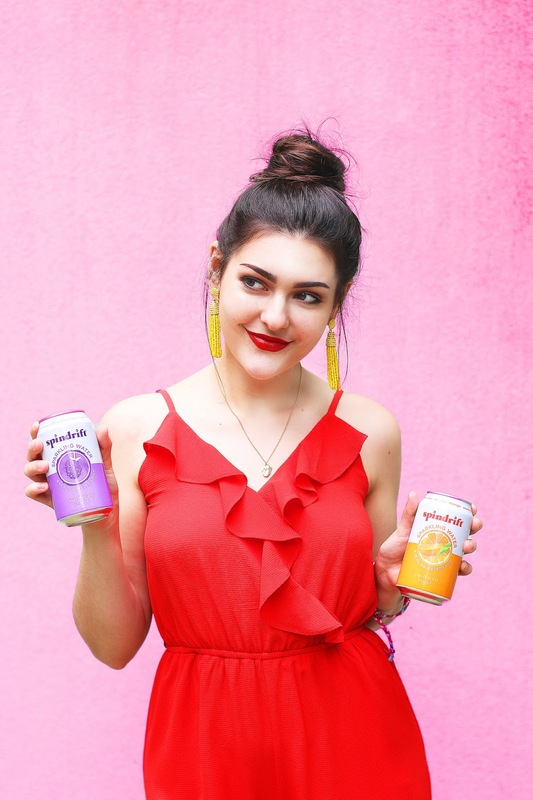 So, before you read any further, just know that I know there's others out there who hate sparkling water as well, and this post is for you. I think I've fallen victim to wanting to try sparkling water because, well, it usually always has cute packaging! 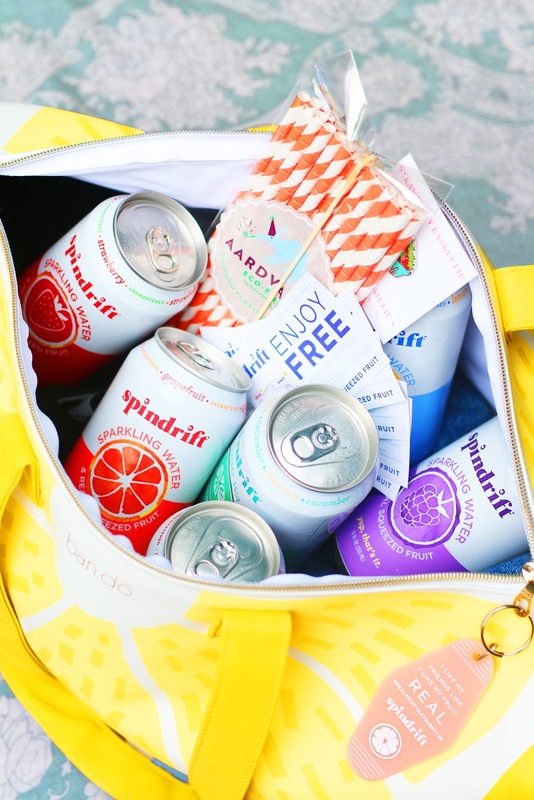 The bottles and cans are always cute and colorful, and that's the reason alone that made me want to try out Spindrift. It is also made with real, squeezed fruit, so with those words I was sold. Spindrift is filled with real, genuine goodness. 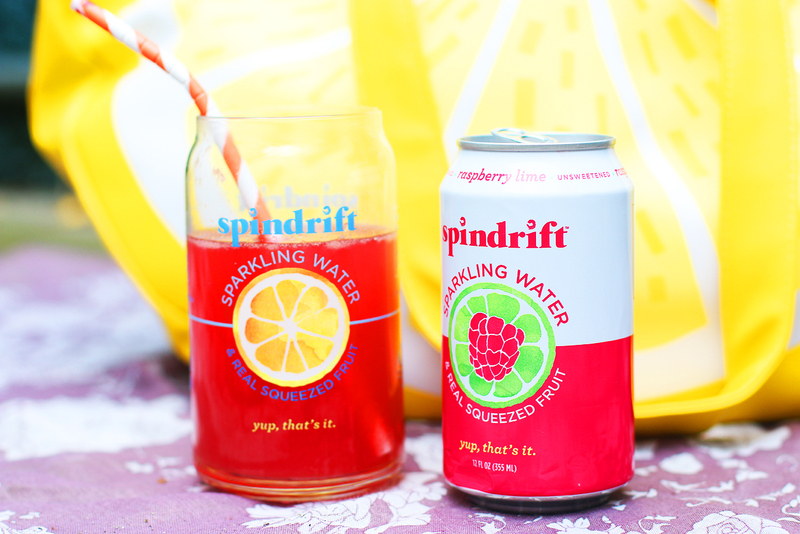 It's just sparkling water and real fruit. 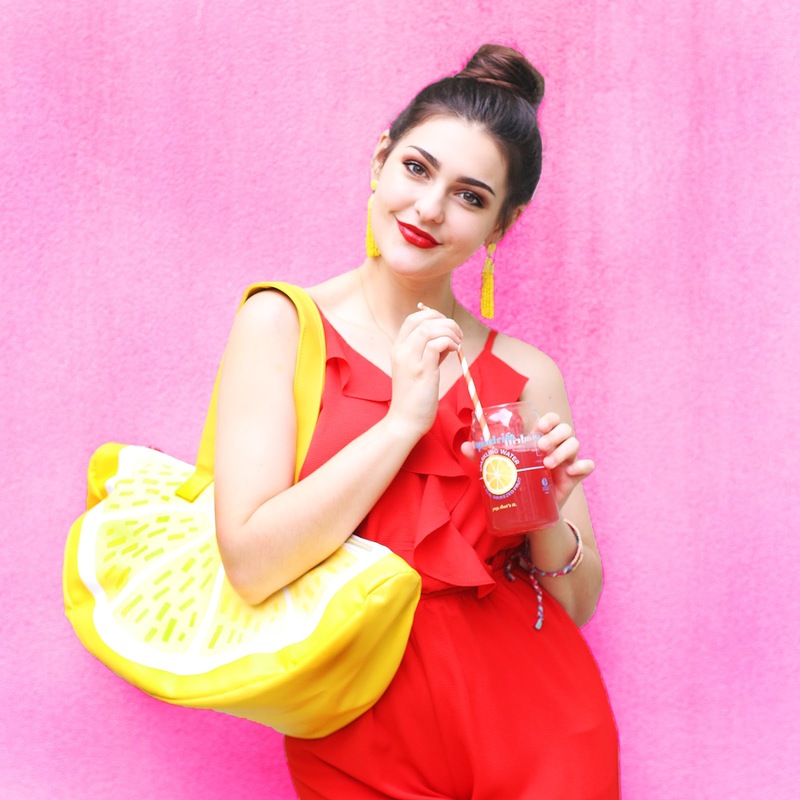 That's why I've come to love this amazing drink so much - it is so hydrating and gives me life throughout the day! I really encourage you all to try it, sparkling water lover or not! You can purchase them on the Spindrift website or you can locate a store nearby that sells it! So head over and enter now! Giveaway only lasts 2 DAYS! Good luck!